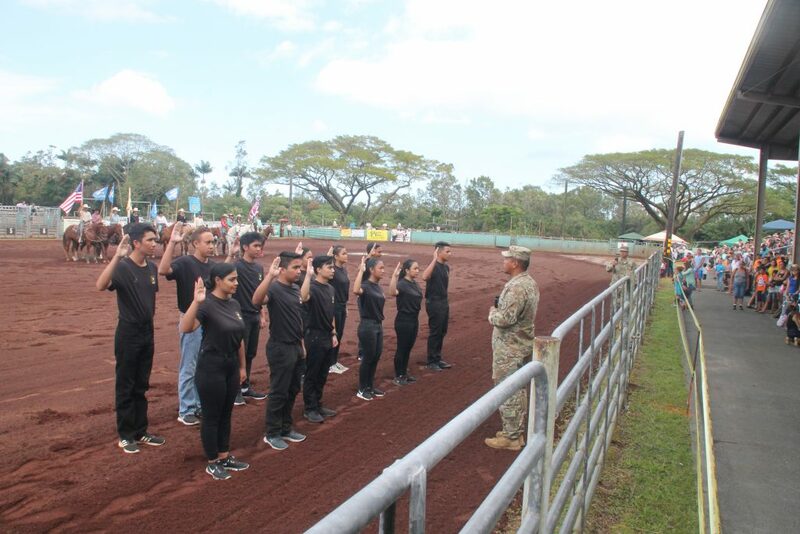 The annual Pana‘ewa Stampede Rodeo will be held over President’s Day Weekend, Feb. 16, 17, and 18, 2019, at the Pana‘ewa Equestrian Center located by the Pana‘ewa Zoo. 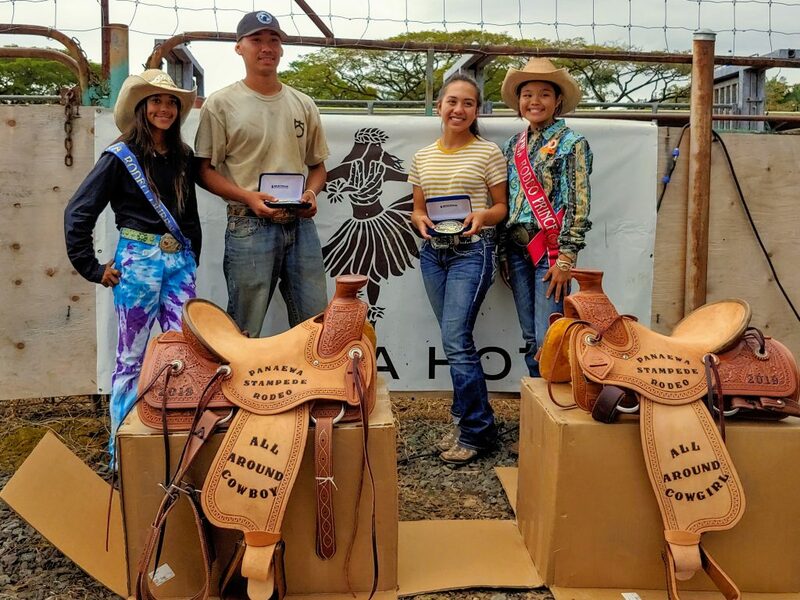 The rodeo is sponsored by Hawai‘i Horse Owners. 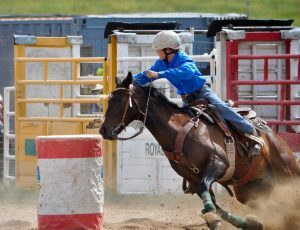 This large and diverse rodeo includes Team Roping, Barrel Racing, Bronc Riding and Bull Riding. 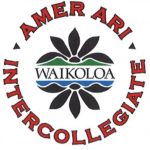 In addition there are special events done only in Hawai‘i. Cowboys and Cowgirls will compete in Double Mugging and Pu‘u Wai U just like our forefathers did in the early ‘Paniolo’ days of old Hawai‘i. Double Mugging is unique event found only in Hawaiian rodeos. In this event, two paniolo will work together to rope and knock a steer to the ground and tie up three of its legs. It’s often a wrestling match between men or women and the beast. Back in the early days of cattle “ranching”, cattle were allowed to range free through the island. Po‘o Wai U is a technique that was developed by the paniolo to capture these free range pipi ‘āhiu (wild cattle) and it is still used today. The animal would be lassoed and tied to a tree, often a Y shaped tree known as the “aumana.” In today’s rodeo, we replicate the aumana in the arena. The competing paniolo will have to rope a steer by the horns, pull the steer to the aumana and tie with a nonchoke knot. Rodeo Clown JJ Harrison will keep the public entertained, while announcer Justin McKee will keep the crowd informed. There will be cultural traditions of the paniolo on display, local food vendors, arts and crafts and more. The rodeo begins at noon on Saturday, and 11 a.m. on Sunday and Monday. Daily tickets are $10 at the gate, keiki 12 and under are free. A three day pass is also available for $25. Tickets are also available online.